Blood pressure medications have been shown to help reduce HBP; however, these medications also have unpleasant side effects. Fortunately, you don't have to resort to prescription drugs to treat HBP. 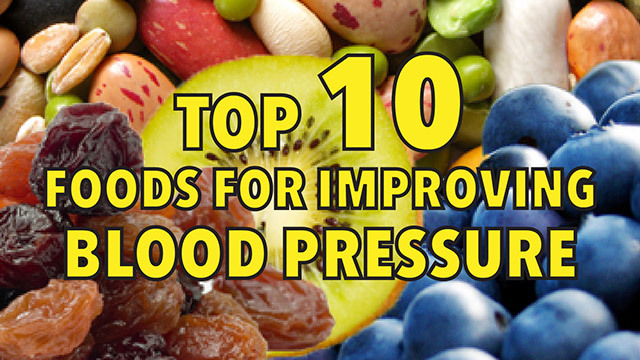 All of the followings foods have been shown to help lower blood pressure. Watermelons can help combat HBP by preventing arterial walls and veins from hardening. According to a study published in the American Journal of Hypertension, L-citrulline is a natural, edible amino acid in watermelon that can help normalize blood pressure. L-citrulline's sister amino acid is L-arginine, which isn't tolerated by people with HBP. The L-citrulline in watermelon was well tolerated by HBP participants in the study, which converts into L-arginine after it's consumed. Blueberries have more antioxidants than any other berry, which can help lower HBP by fighting against free radicals. According to a study published in Journal of the Academy of Nutrition and Dietetics, daily blueberry consumption improves blood pressure in postmenopausal women with pre- and stage 1 hypertension. Blueberries have made their claim to fame as a superfood. The most powerful antioxidants in blueberries are anthocyanins, which are responsible for the dark blue color of blueberries. You can incorporate blueberries into your morning breakfast, either as a juice, smoothie or cereal topping.